John BRADLEY (1738 – bef. 1830) was Alex’s 6th Great Grandfather; one of 128 in this generation of the Miller line. The Bradleys were not Loyalists, they were New England Planters, see my post New England Planters in New Brunswick for their historical story. In our imaginations, Mary’s father might have been Chief CROOKED KNIFE. In reality, Mary Heath was born 16 Jan 1739 in Haverhill, Mass. Her parents were David HEATH and Ann STAPLES. Mary died before 1824 in New Brunswick. 17 Jul 1793 Woodstock Anglican Church, Carleton, New Brunswick. c. 1861 in Caribou Maine. A Haverhill, Mass marriage was recorded between John Bradley and Mary Heath. And so the following is presented merely as legend and — although it is a wonderful tale — totally unverifiable. A man named John Bradley who was born in 1753 in Vermont became the first permanent white settler in this area (Washburn). A tall strong man with a fiery temper, he joined Ethan Allenand the Green Mountain boys in Vermont. When the Revolutionary war began, Bradley was with Ethan Allen at the capture of Ft Ticonderoga. When Benedict Arnold started his march through Maine, Bradley was chosen as a scout and hunter. Arnold expected to find enough wild game to feed his men, but game was scarce. After hunting all day, Bradley returned with only one partridge. Arnold sent for him and called him a worthless loafer. Bradley talked back to the commander who then drew his sword, which Bradley knocked from his hand. The fighting continued and Aaron Burr came with a file of soldiers and had Bradley arrested and bound to a tree. A man had been shot that morning and Bradley had no doubt that he would also be shot. He finally managed to twist the straps free from his wrists and attempted to escape. A guard tried to stop him and he killed the guard. Bradley had no weapons and his enemies were behind him as he ran into the woods. He had not traveled far when he found himself surrounded by the St Francois (Abenaki) Indians, members of a scouting party watching the white men. As two of the Indians understood English, Bradley told the story and was untied and given food. The next day, two of the Indians took him and started toward the village of Washburn. When they arrived he was taken to see Chief Crooked Knife, who liked him. 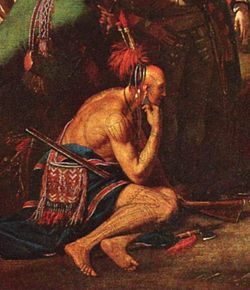 Bradley could not return to the country he had left for he had killed a man and would surely be hanged for his crime, and he didn’t want the Indians to kill him so he was happy to become a member of the tribe. Some years later Bradley went with some Indians up river on a bear hunt and never returned. The Indians said he was killed by a bear in a trap. He left a large family of children and many of his ancestors live in Aroostook today. William Hazen, one of the Newburyport firm, afterwards removed to St. John. Hannah Hazen of nearby Rowley married our ancestor Richard ESTEY and immigrated to New Brunswick about the same time. It is likely they are related. In 1765, Simonds, White and Hazen received from the government of Nova Scotia a grant of a very extensive tract of land at the mouth of the St. John River. Name Amount Cleared and Improved. Nearly all these people had been driven off their land by raiding parties from Machias, Maine during the Revolutionary war, and compelled to seek shelter up the river. These raids will partly serve to account for the extremely backward state of the settlements at the mouth of the St. John, prior to the arrival of the Loyalists. The immediate result of Israel Perley’s report of the state of the lands up the St. John River was the removal of a large number of families to them from Massachusetts in 1763. According to Moses H. Perley’s statement, there were about two hundred families, numbering eight hundred souls, in this band of settlers and they were brought in four vessels under the charge of Israel Perley. The number, however, is probably exaggerated and perhaps four hundred would be nearer the truth. That at all events was the estimaed number of the settlers on the St. John in 1764, and a census taken in 1767 showed that there were but 261 persons in Maugerville, the principal township. This township had been surveyed in 1762, at the instance of Capt. Francis Peabody, who was the father-in-law of both Simonds and White and also of Jonathan Lovet. This man, from his age and character, as well as from the active part he took in the work of settling the River St. John, must be justly regarded as the founder of Maugerville and Gagetown and the most prominent and influential person on the river, while he lived. He took our ancestor Zebulon ESTEY from Massachusetts to New Brunswick. The township of Maugerville was on the east side of the St. John River and began at a point about five miles below Fredericton. Its northerly line was at right angles with the river and its depth along the river was sixteen miles in an air line. It embraced, therefore, the present parishes of Maugerville and Sheffield. Opposite to it was the township of Burton and below the latter, Gagetown. The three townships were all more or less settled prior to 1770, but, except in the case of the Maugerville immigration of 1763, it is not now possible to determine the date of the arrival of the settlers. It is certain, however, that some of those who came with Perley in that year settled at Gagetown, amongst others, Edward Coye, one of whose daughters was said to be the first female child born of English speaking parents on the River St. John. Nearly all the settlers on the river were from Massachusetts, and the vast majority of them from a single county, Essex. Thus the Perleys were from Boxford, the Burpees from Rowley, while other families were from Haverhill, Newburyport, Ipswich, Gloucester, Salem and other towns of this ancient county which antedates all others in Massachusetts with the single exception of Plymouth. These settlers were therefore, for the most part of Puritan stock and all, or nearly all, were members of the Congregationalist churches of New England. Instead of the barren soil of New England, they had their choice of the noble intervale lands of the St. John River, which have their fertility renewed every spring by the overflowing of that great stream. And this land they received for a price so small as to be merely nominal. The township of Maugerville was divided into one hundred lots, each with a frontage on the river and a width of about fifty rods. Four of these lots were reserved for public purposes: one for a glebe for the Church of England, one for the Dissenting Protestants, one for the maintenance of a school and one for the first settled minister. Nearly all the Maugerville lots were taken up immediately after the first immigration, and the population of the township in 1767 was, as before stated, 261 souls. All these people were natives of America, with the exception of six English, ten Irish, four Scotch and six Germans. The enormous preponderance of the native New England element gave a tone to the character of the settlement, which it never lost until the arrival of the Loyalists. On the 24th of May, 1776, a meeting of the inhabitants of the River St. John was held at Maugerville, at which a committee was appointed “to make immediate application to the Congress or General Assembly of the Massachusetts Bay for relief under their present distressed circumstances.” This rebel committee consisted of twelve persons, ten of whom were prominent in the church. Jacob Barker, who presided at the meeting, was a Justice of the Peace and a ruling elder of the church. Pheneas Nevers and Israel Perley were also justices, and both were church members. Daniel Palmer, Edward Coy, Israel Kinney and Asa Perley were ruling elders. Moses Pickard, Thomas Hartt and Hugh Quinton were church members. This committee drafted several resolutions which were passed by the meeting, the most important of which was “that it is our minds and desire to submit ourselves to the government of Massachusetts Bay, and that we are ready with our lives and fortunes to share with them the event of the present struggle for Liberty however God in His Providence may order it.” The meeting also voted “that we will have no dealings or connection with any person or persons for the future that shall refuse to enter into the foregoing or similar resolutions.” Under this threat these resolutions were hawked around the country with a result which is thus stated by the rebel committee:— “If it be asked what proportion of the people signed the resolutions, it may be answered there is 125 signed and about 12 or 13 that have not, 9 of whom are at the river’s mouth.” Our ancestors are among the minority who refused to sign: — William Hazen, Thomas Jenkins, James Simonds, Samuel Peabody, John BRADLEY, James White, William McKeene, Zebedee Ring, Peter Smith, Gervas Say, Lewis Mitchill, ———— Darling, John Crabtree, John Hendrick, Zebulon ESTEY, John Larlee, Joseph Howland, Thos. Jones and Benj. Atherton. Most of the farmers settled at the mouth of the St. John were compelled to abandon their homes and remove up the river in consequence of the visits of the Rev. Seth Noble’s friends, the thieves and plunderers of Machias. Mary’s husband John Shaw was born 26 Jan 1761 in Abington, Mass. His parents were John Shaw and Mary Burrell. He immigrated to Maugerville, New Brunswick as a young child before 1763 when his brother Ziba Shaw was born in New Brunswick. John died in Clinton, Maine, some say in 1778, but there are children born after that. John moved to Penobscot, Maine with his wife and her family three years after the Loyalists arrived. Since the Loyalists arrived in 1783, this would mean that they moved to Maine in 1786. By or about 1790, John & his family came to Hallowell (now present-day Clinton), Maine and settled north of what is now known as Noble Ferry. In 1797, John Shaw & his family lived on a 128-acre farm in Clinton—they had 6 children & owned 2 cows. In the 1860 census, John P and Sally were living in Chester, Penobscot, Maine where John was a miller. John and Sally’s son LeBaron (b. 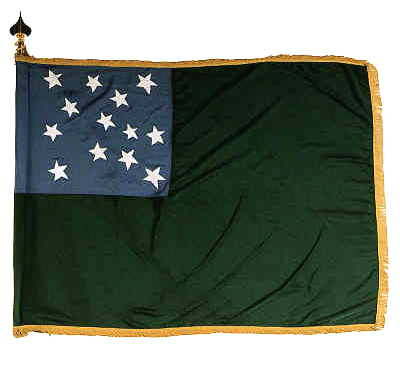 1838) enlisted in Company D, Maine 11th Infantry Regiment on 23 Aug 1862. LeBaron mustered out on 05 Dec 1862 on a disability discharge. iv. Advardus “Vardis” Shaw b. 25 Jul 1792; m. 1814 in Clinton, Kennebec, Maine to Mercy Chase (b. 28 Jul 1796) Advardus is a name unique to the Shaw family. Advardus and Mercy had six children born between 1814 and 1820. Another Vardis Shaw was the grandson of our ancestor Thomas HAWES. His parents were Joshua Shaw and Sarah Hawes.. This Vardis Shaw b. 22 Dec 1798 in Plainsfield, Mass. d. 24 Mar 1863 in Lambs Creek, Pennsylvania; m. 1852 to Eleanor Clark (1802 – 1859) In the 1850 census, Vardis was farming in Richmond, Tioga, Pennsylvania. Advardus served as a private in Capt. John Moore’s Co. in Infantry of the Clinton militia as part of the war of 1812 the British threatened to attack the Maine coastline in 1814 and the Clinton militia was called into active service. In the 1860 census, Harbard and Sarah were farming in Howland, Penobscot, Maine. Nathaniel B Shaw (b. 1802 Maine) and John Shaw (b. 1788 Maine) were also living in the household. vii. Charles Shaw b. 30 Jul 1798 in Clinton, Kennebec, Maine; d. 23 Aug 1874 Carleton County, New Brunswick; m. 16 Aug 1817 – Fredericton, York, New Brunswick to Margaret Bradley (b. 1796 Fredericton, NB – d. 1878) Margaret’s parents were Oliver Bradley and Margaret Smith. John’s wife Mary Heath Green was born 15 Nov 1765 – Elizabeth, Union, New Jersey. Her parents were Richard Green (1735 – ) and Elizabeth Woolverton (1736 – 1766). Mary died 15 Sep 1865 – New Brunswick, Canada. ii. Henry Bradley b. 1792 – New Brunswick, d. 1848 – New Brunswick, Canada; m. 21 Oct 1817 to Abigail Freeman (b. 1798 in New Brunswick – d. Norfolk, Ontario, Canada). Abigail was Sarah’s sister. Her parents were Mark Freeman (1757 – ) and Susanna Young (1765 – ) Henry and Abigail had eight children born between 1817 and 1840. In the 1852 and 1861 census, Henry and Abigail lived in Norfolk County, Ontario on the north shore of Lake Eire. Children: Henry; Angus; Sarah, married Jacob Sailor; Mary ; Amelia, married Ebenezer Bolstridge, ; Dorcas, died young. iii. Mary Ann “Miriam” Bradley b. 17 Sep 1793 in Upper Saint John River, New Brunswick; d. 1891 in New Brunswick; m. 8 Dec 1813 Tobique River, Victoria, New Brunswick to James Giberson (b. 3 Jul 1791 Wakefield, Carleton, New Brunswick) His parents were John Giberson (1762 – 1842) and Elizabeth Brown (1770 – 1844). Mary Ann and James had twelve children born between 1814 and 1840. Family legend tells that Oliver was murdered in Tobique Rocks and his children were sent to York County, NB to live with Sara Freeman’s family. (3.) Patience Bradley m. Zeferade Beardsley (b. 1815) Zeferade and Patience are found in the 1881 census parish of Brighton along with son Enoch Beardsley. Enoch was married to Ursula Shaw. (5.) Abigail Bradley. m. John Christian Fox, had numerous children. i. Mary Sewell b. 6 Sep 1804 New Brunswick; d. 11 Jul 1898 New Brunswick; m. 23 Dec 1824 Sunbury County, N.B. to Herbert Sewell (b. 03 Jun 1802 in Maugerville, Sunbury, New Brunswick – d. 03 Jul 1898 in New Brunswick) Herbert’s parents were Nicholas Sewell (1762 – 1851) and Eunice Hawthorne (1770 – 1851) Mary and Herbert were first cousins. They shared grandparents Dominicus Sewell (1735 – 1822) and Sarah Thorndyke (1736 – 1815). Mary and Herbert had 11 children. v. Miriam Amelia Sewell b. 12 Nov 1812 Carleton, New Brunswick; d. 2 Jan 1869 Carleton, New Brunswick; m. 19 May 1827 Sunbury County, N.B. to George Hayward (b. 17 Mar 1806 in Carleton Co, New Brunswick – d. 14 Mar 1891 in Ashland, Carleton Co. New Brunswick) Miriam and George had seven children born between 1830 and 1851.
vi. Olive Jane Sewell b. abt. 1817; m. 22 Nov 1838 Carleton County, N.B. to James Whitfield Clarke (b. 1811 in New Brunswick y – d. 29 Dec 1883 in Peel, Carleton, New Brunswick) Olive and James had eight children born between 1839 and 1860.
viii. John Milton Sewell b. 1822; d. Bef. 1871; m. 23 Jan 1851 Carleton County, N.B. to Mary I. McBurney (b. 25 Mar 1828 – d. Aft. 1901) John and Mary had five children. ix. Glorianna Sewell b. ~1823; d. 1891; m. Charles Day (b. 15 Aug 1819 – d. 04 Dec 1879) Glorianna and Charles had twelve children born between 1847 and 1868. This entry was posted in -8th Generation, Immigrant - North America, Line - Miller, Storied, Twins, Veteran and tagged Chief Crooked Knife, Maugerville, New Brunswick. Bookmark the permalink. Hi, I’m a descendent of Abigail Bradley, Oliver Bradley’s (b. 1795) and Sarah’s daughter. Abigail married John Christian Fox, had numerous children. Son Wilmot married Lucy Ann Baylis and had numerous children. Their daughter Nettie is my grandmother. Wilmot moved his young family to Perham , Maine in 1894. Thanks for compiling this record! Do you know about this family legend? Oliver was murdered in Tobique Rocks and his children were sent to York County, NB to live with Sara Freeman’s family. Wilmot Fox married Margaret Howe Blackstone after both of their spouses died circa. 1910. Wilmots daughter Adda , (Netties sister ) was married to a Blackstone. My Grandmother was Margaret . My father was Clifton Basil Fox. Stanley Arthur Howe was Margarets brother. I was named for him. Abigail Bradley was my great grandmother. I have had my DNA done no native ancestry my maiden name is Bradley. It will not necessarily show up in your DNA. My sister and I both had ours done. Hers showed some Western Europe and Asian while mine was minimal. I have never seen any proof of this tale and I have copies of all the Bradley marriages records. It’s a good story, but it’s just a story. I’ve had my DNA tested as well and no native american.